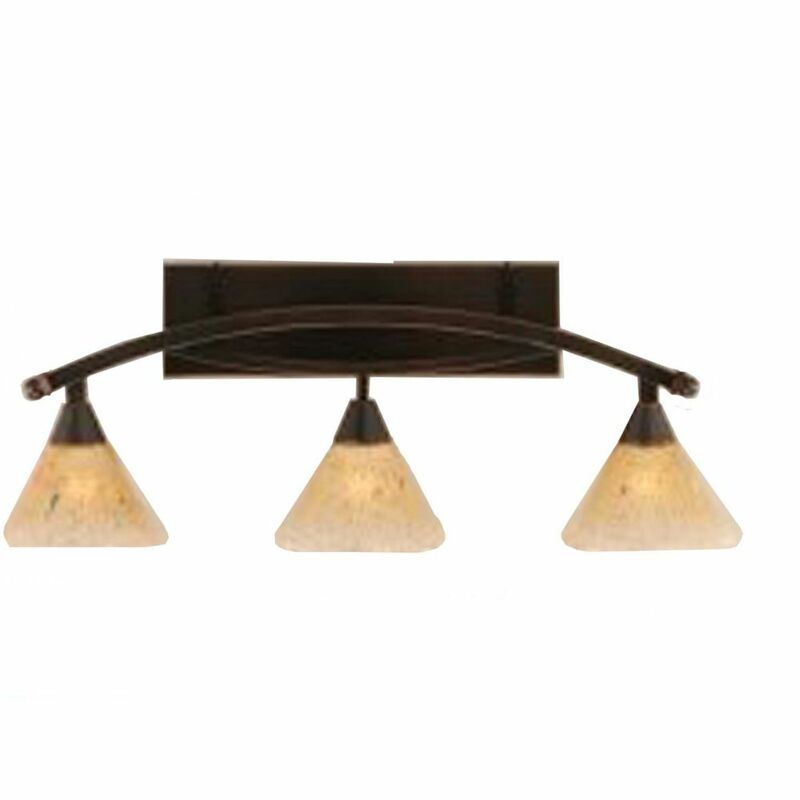 A graceful light fixture suiting the name with curving soft lines sure to be noticed and to enlighten any room in oil rubbed bronze with a etched white glass shade. Part of a chandelier family. Concord 3-Light Wall Black Copper Bath Vanities with an Amber Glass The cornerstone of the concord Collection is quality, and this bath vanities is no exception. Combining a classic black copper finish and posh styling, you will find no better way to highlight the charm of your home. With the superb craftsmanship and affordable price this fixture is sure to tastefully indulge your extravagant side.